I often times have people surprised to hear that I never went through any photography classes or courses. Not only did I experiment relentlessly with my camera, but I also read a whole lot. 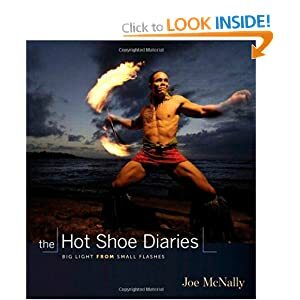 From books to blogs, and everything in between, I would like to share with you some of my favorite reading material..
A great read from one of the greats, Joe McNally himself. Full of anecdotes, and loads of his photos. All with little bits of information on how he did it, what he was thinking about, and the circumstances he was under in those situations for just about every photo in the book. Almost all of which were made with Nikon Speedlights, very similar to the type of lighting I use. Since this edition there are several more available, for each new upgrade of photoshop. 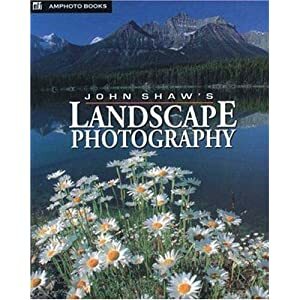 I haven't used any other editions, but I know this one was full of relevant information with full color photographs and step by step information. He even provided the same images he works on in the book, online so you can really follow along step by step. 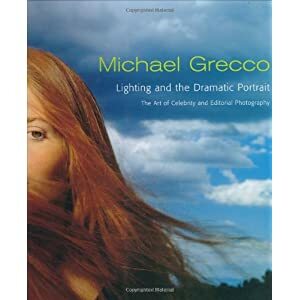 I think this may have been my first book on portraiture. It really helps newbies to see just how calculated a 'good photo' gets. Also with loads of ideas for lighting, including diagrams and case studies. Three editions are available at this time, and I purchased them as they were released. I definitely found the first one to be most informative, concise and valuable. 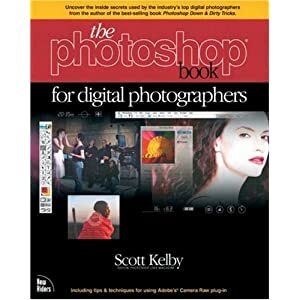 I already recommend it to many photographers asking me questions that this book can very easily answer. Another good'er from Mr. McNally. 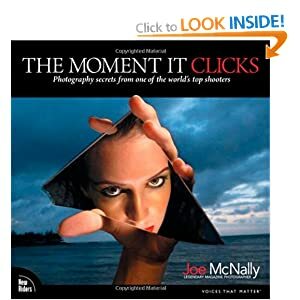 Released a couple years after "The Moment it Clicks. Along similar lines, this one is a step by step journey to understanding light. How it affects your photos, how to mimic certain types of light (make your own sunset portraits on cloudy days!) and which situations call for which styles of lighting. Starting with understanding your camera, to loads of popular accessories and then moving onto using one, two, and three or more, lighting setups. Photographing people can get a little tricky. 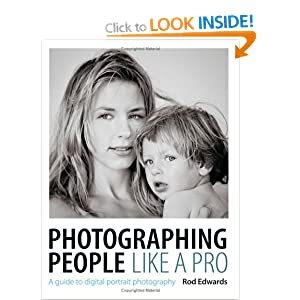 This book helps break it down, from the feel you get at different focal lengths, ideals behind posing models, and finishing off with step by step photo-processing tips specific to making your portraits all that they can be. The thing with landscape photography is, like the old saying goes, 1% inspiration and 99% perspiration. Getting in the right place at the right time is paramount to landscapes, but so is knowing what to do when you get there. Get this book, especially if the term 'hyperfocal distance' means nothing to you. There is a select couple websites I visit time and time again. David Hobby writes www.strobist.com , the epitome of those sites for me. Since I heard a friend mention it, whose style I looked up to at the time, I began to read it religiously. It is filled with a million tidbits of information that you could only get from years of practice. Though its certainly not a starting point for an amateur photographer as it deals strictly with the laws and nature of controlling your lighting (usually speedlights). Another favored site for me is a great information tool of the digital age; online forums. Connect with thousands similar to yourself, many with similar questions, and even more with varying answers. 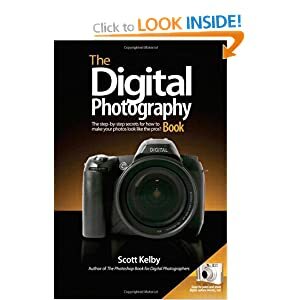 http://photography-on-the.net/forum/ Is specific to Canon users and provides information, reading material and the opportunity to critique, be critiqued and help your fellow photographer. My book collection certainly doesn't stop there, but if I had to choose some worth mentioning over the others, I would certainly choose these reading materials here. I hope that they can help you as they did me.